Unique and special. Music, different atmospheres (Romantic, Chill-out …). Original and exclusive outing. Very recommended. Pier M-04, Moll de l’escullera, Sant Feliu de Guíxols. Sail from Sant Feliu de Guixols in the direction of Tossa de Mar (SW) going by Punta d’en Bosch, Cala Canyet, Cala del Sr. Ramon and casting anchor at Cala Futadera or Giverola. Have an Snack and a swim. 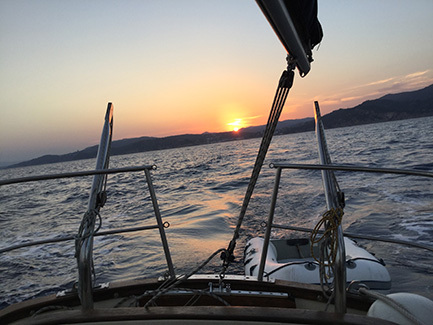 We then continue along the coast going by the Cala Pola and Cala Bona to Bahia Tossa where we will cast anchor beneath the wall so as to be able to enjoy the sunset. 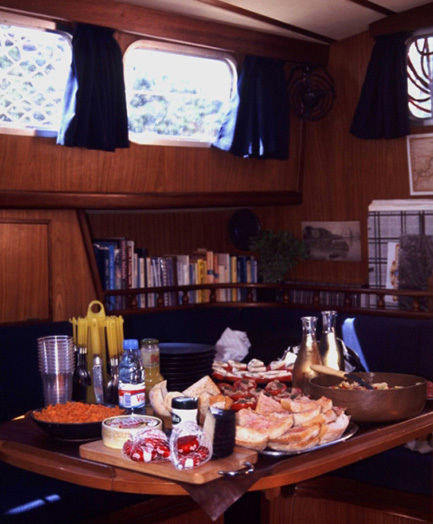 We will then continue another 1.5 nautical miles SW to Bahia de Llorell where we will cast anchor in Cala de Porto Pi and have supper on board. 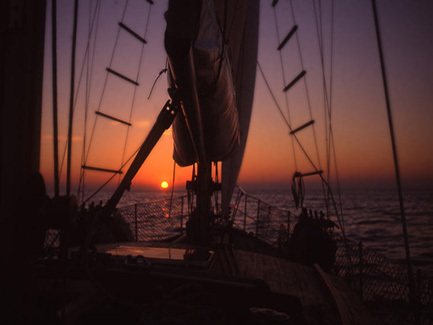 The sail back will be away from the coast, under the stars. Cava on reaching the Bay of Sant Feliu de Guixols. The programme is flexible depending on wind and weather. Magnificent trip along the Costa Brava with the Anónimo sailboat. We spent a few hours of relaxation, with baths at sea and visits to several caves. The skipper, Jordi, is very attentive, he knows the entire coast, and is open to any suggestion, whenever possible, of course! 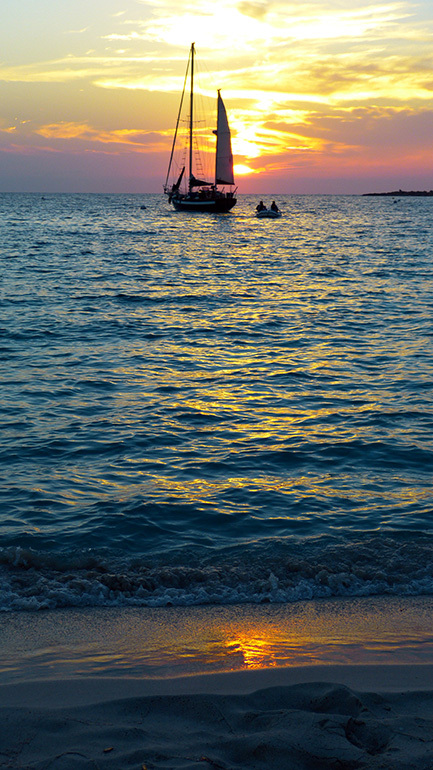 Recommended in the evening: the sunset and the stars have a special magic in sailboat. We had a very good experience today aboard a beautiful ship! The captain (and owner) Jordi showed us how amazing and special is the coast and the rocks with the afternoon sun .. very nice and romantic! We could jump off the boat to swim and practice snorkeling a few times in quiet areas along the coast. On our way back to the port the darkness gave a very special view of the enlightened villages. There is no doubt that we had a great time!